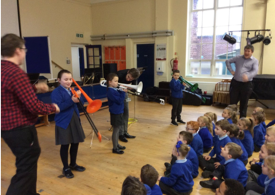 Since the beginning of the academic year, the ‘Trombone Trio’ at Lancashire Music Service have been on a tour of the county with a little help from pBone. 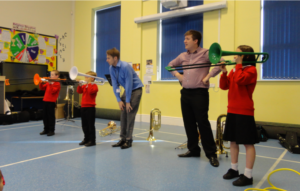 Schools have been treated to an interactive workshop led by Lancashire Music Service trombone tutors: Jay Hall, Ryan Watkins and Chris Guénault. The workshop aims to deliver an engaging and high impact experience for pupils. 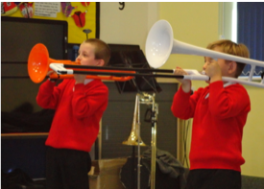 They are introduced to brass instruments for the first time with a focus on the trombone. Ranging from performances by the trio of classical, film and pop music, to first notes on pBones by students, the workshops have been well received everywhere. "Thank you so much for the amazing assembly this morning at School. The children really enjoyed it! My class are very excited, they think they’ll be learning how to play the trombone. Thank you again to all of you, it was a great start to the week!" 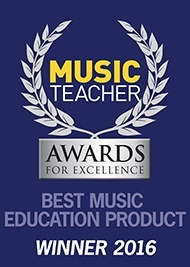 Lancashire Music Service looks forward to working on more projects with pBone in the future. Bolsover Festival of Brass; live broadcast and interactive voting! Copyright © 2013 pBone Plastic Trombone. pBone trombones are protected by US Patent 8,461,439 and pending patent applications in other countries.